Any type of exercise you do helps your health, even if it’s a brisk 10 minute walk. But the longer you can endure a workout the better, you will burn more calories and build up your endurance. Let’s look at some of the most effective ways to extend the length of your swim workout. Just like runners stretch and warm up before beginning the extensive workout, swimmers must do the same thing. Balance Drills are a great way to get you warmed up, while helping you improve your endurance, which will ultimately help you extend your workouts in the long run. The key to this drill is keeping your head and neck even with your spine, and avoiding the temptation to hold your head up, or to look up. As soon as you look up, or even tilt your head upwards, your legs and hips will drop. Begin the drill by floating face down, with your face in the water. Extend your arms straight out in front of you, parallel with the water surface, for improved balance. Once you master this drill, you can then try it with your arms at your sides. This will require more balance control, so don’t move on until you’re ready. Ease your way into these drills, especially if you’re just beginning. The more you practice these drills the quicker you will build up your stamina and extend your workout! Timed workouts are an effective way to improve your workout each time. You must be extra careful with time-trial workouts. You can burn yourself out rather quickly, and the whole point of time-trial workouts is to extend your workout, not cut it short. A time-trial swim workout serves the dual function of giving you a race-specific training stimulus and letting you know whether the rest of your training is actually serving to increase your race-specific fitness. The idea is to do one such workout every two to four weeks. If you see a satisfactory degree of improvement, you know your training is on track. If you are disappointed with your time-trial results, then you can review your workout and see what you can change or improve that will help you for the next time. The catch and pull is a free style technique is something many professional swimmers use to improve their swimming all around. Not only will it make you faster, it will also make you more efficient. This is because a poor catch and pull wastes a lot of energy – get it right and you will swim at the same speed much more easily. Slowing down, and putting all your attention on how you connect with the water out front, helps you identify what’s meant by a high-elbow catch. Pay extra attention to your form when practicing this technique, as a poor catch and pull technique will actually decrease the effectiveness of your workout! 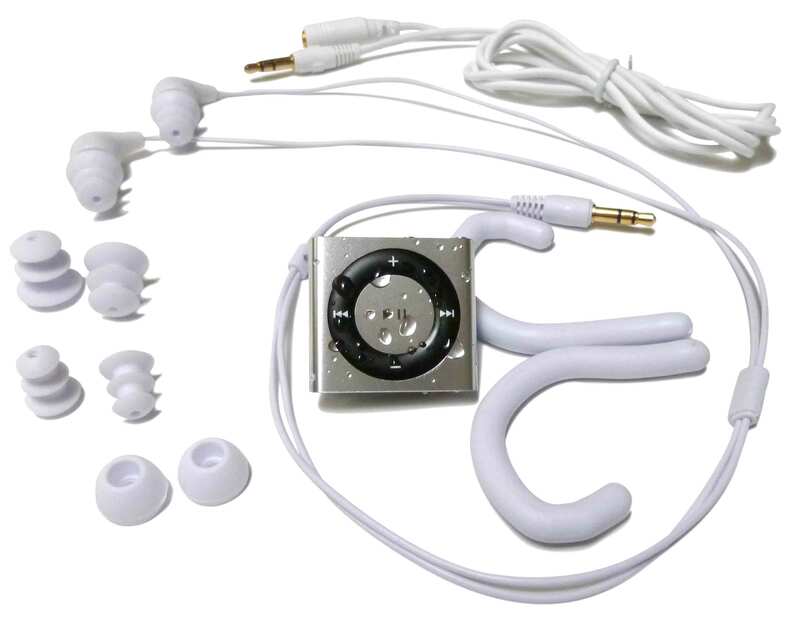 My personal favorite (and most effective in my opinion) is having a waterproof iPod to listen to during your workout! Music is a huge motivator in every aspect of life, and working out is no exception. I think we’ve all been to the point towards the end of a workout where you don’t think you can continue or make it to the end. One thing I’ve found that helps push me to my full potential and ensures I do finish my workout is having music to motivate me. There’s nothing like hearing your favorite songs to lift your spirit and encourage you to finish your workout strong! Each of these 4 options are wonderful ways to begin to increase the length of your workouts. If you are a beginner swimmer, choose one or two techniques to practice at first. You don’t want to over-exert yourself too soon. The more you practice, the sooner you will see results, as well as your improvements as a swimmer! There are countless techniques and tricks for extending the length of your workout. What are some of your favorite techniques that weren’t listed that help extend your workout?